When will be Thunderbirds next episode air date? Is Thunderbirds renewed or cancelled? Where to countdown Thunderbirds air dates? Is Thunderbirds worth watching? The year: 2065. The location: Tracy Island, South Pacific. Ex-astronaut / multi-millionaire Jeff Tracy forms a high-tech organization known as International Rescue, consisting of his five sons and agents scattered throughout the world (two in particular, Lady Penelope Creighton-Ward and Aloysius Parker, serve the London branch). It is also made up of assistant engineer Hiram K. "Brains" Hackenbacker. Others who live with the Tracy Family include housekeeper Kyrano, his daughter Tin-Tin, and Jeff's mother, 'Grandma' Tracy. Jeff's oldest son, Scott Tracy, pilots the aircraft known as Thunderbird 1, a scout-like ship that serves on most of IR's missions. Virgil Tracy pilots Thunderbird 2, a carrier ship that houses six pods, the fourth of which contains Thunderbird 4, an aquatic submarine, piloted by Gordon Tracy. Both Alan and John Tracy (along with Scott) take turns piloting the intergalactic Thunderbird 3, used for space missions. When not on missions with his brothers, John mans Thunderbird 5, an International Space Station-type vehicle that orbits the Earth. John does monthly shifts on TB5, switching places with Alan. Thunderbirds premeired on British television in 1965, and was cancelled a little over a year later due to financial problems. In 1994, these episodes were re-aired on the Fox Kids network, and from 2002-2005, the now-defunct Tech TV network (once partners with G4-TV For Gamers) aired the series in 30-minute segments. 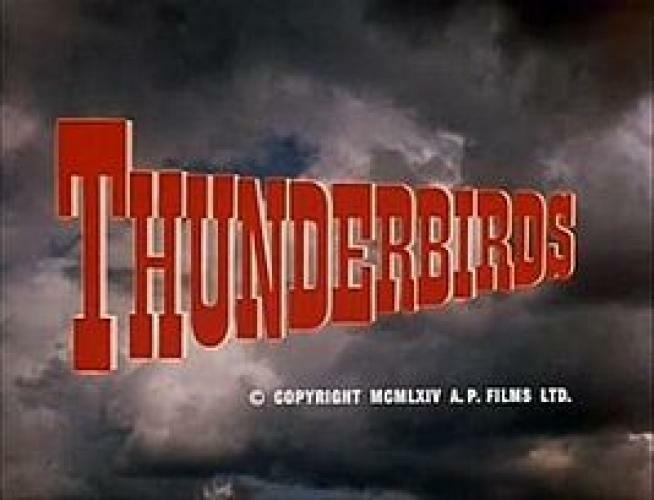 Thunderbirds is currently available in individual DVD sets (featuring a handful of episodes) or the "Best of Thunderbirds" DVD, collecting what is considered to be the best of the episodes of this series. 5... 4... 3... 2... 1... Thunderbirds are GO! EpisoDate.com is your TV show guide to Countdown Thunderbirds Episode Air Dates and to stay in touch with Thunderbirds next episode Air Date and your others favorite TV Shows. Add the shows you like to a "Watchlist" and let the site take it from there.